SNAICC’s support for Aboriginal and Torres Strait Islander children, starting from 1981, has resulted in many key milestones and achievements both in policy developments at state, territory and federal levels and in developing innovative and useful resources for the sector. 2016 SNAICC is registered under the Corporations (Aboriginal and Torres Strait Islander) Act 2006 (CATSI Act). At this time, SNAICC also refreshes its brand and name to become known as SNAICC – National Voice for our Children. SNAICC plays a leadership role in The Redfern Statement during the 2016 federal election process. 2015 The 5th SNAICC National Conference is held in Perth. SNAICC makes a submission to the Senate Inquiry into Out-of-Home Care calling for a new self-determining approach to working with Aboriginal and Torres Strait Islander children and families. 2014 SNAICC holds a Parliamentary breakfast in Canberra as part of its campaign to secure long-term funding for Indigenous community-controlled early years services.  In partnership with key agencies in the child welfare sector, SNAICC organises major forums and community meetings across Australia under the new national Family Matters campaign to reduce the disproportionate number of Indigenous children in out-of-home care. The Moving To Prevention report is published focussing on Intensive and Targeted Family Support Services. SNAICC’s Training Unit is significantly expanded. 2013 SNAICC celebrates 30 years as a funded organisation. Fifth SNAICC National Conference is held in Cairns. Attended by over 1100 delegates, it is considered the biggest forum of its type ever held. SNAICC organises a national forum in Melbourne on the high number of Aboriginal and Torres Strait Islander children in out-of-home care, and announces the establishment of a national initiative, in partnership with key agencies in the sector, to halve the number by 2018. 2012 25th anniversary of National Aboriginal and Islander Children’s Day. SNAICC wins Highly Commended Award at the 2012 Indigenous Governance Awards. SNAICC attends Eleventh Session of United Nations Permanent Forum on Indigenous Issues in New York, and meeting of UN Committee for the Rights of the Child in Geneva. 2011 SNAICC was granted Deductible Grant Recipient (DGR) status, allowing SNAICC to seek philanthropic funding and donations. 2010 SNAICC successfully lobbied for a strong National Standards for Out-of-Home Care, which now require the participation of Aboriginal and Torres Strait Islander communities in decisions concerning the care and placement of our children. 2010 SNAICC is a founding member of the NGO lobby group ‘The Coalition of Organisations Committed to the Safety and Wellbeing of Australia’s Children’ that provides advice to Government on the National Framework for Protecting Australia’s children. 2010 SNAICC’s work over many previous years and intensive engagement this year were key contributors to securing NT and Federal Government commitments to re-build the NT child case system – offering leadership to our communities with NGO and government partnerships and support. 2005 Producing a policy paper in 2005 to advocate that maintaining Aboriginal and Torres Strait Islander children’s connections to their family, community and culture be considered a priority by state, territory and Australian governments in their policy and practices governing out-of-home care. 2001 Publication of Through Young Black Eyes, a national resource booklet and community Elders guide responding to issues of family violence and child abuse in Aboriginal and Torres Strait Islander communities.